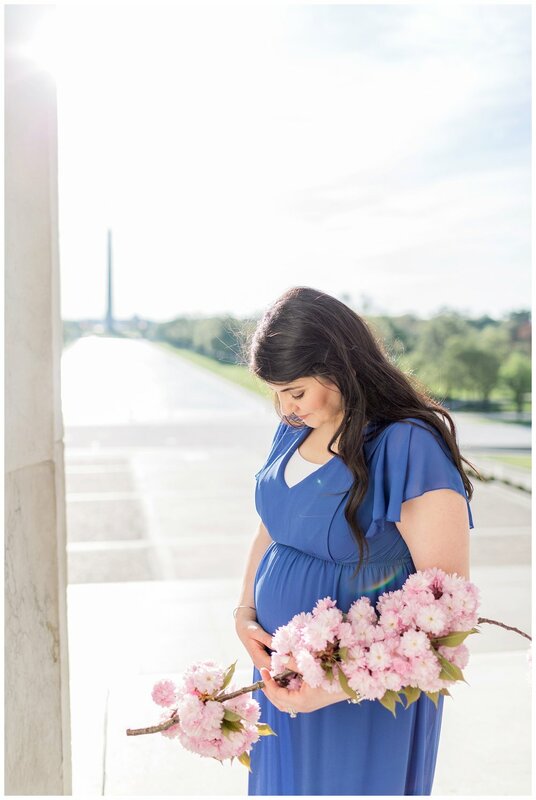 Christina contacted me this spring to do anniversary photos while her and her husband were on vacation in DC. This was be a very special 8 year anniversary trip because it was be their first trip ever away from their 16 month old daughter! The two flew from Michigan for some sunshine and DC eats before our sunrise session at Jefferson and Lincoln memorials. Little did I know, these two were also expecting their SECOND child! 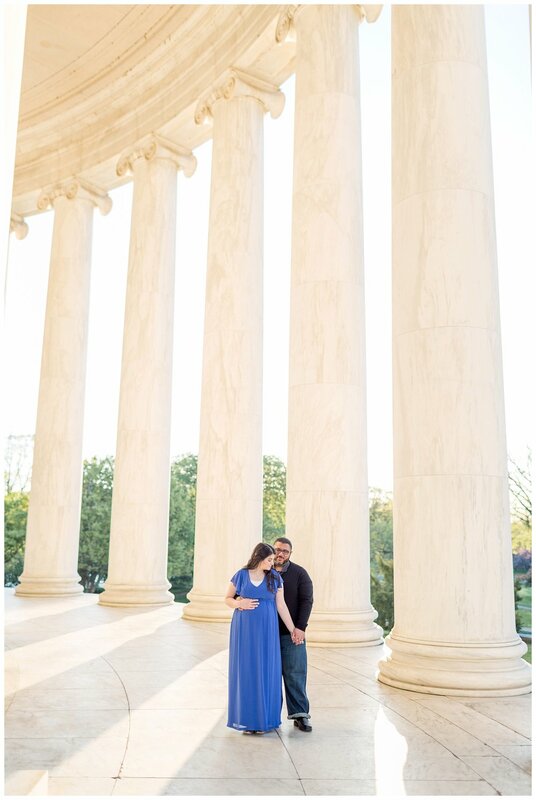 Talk about the bets bang for your buck: maternity photos AND anniversary photos in one! Every year these parents treat themselves to a photo session. Christina admits that she loves seeing the changes year to year as their lives progress. I hope these ones are memorable for this wonderful stage of life year 8 is!